BOSTON – A newly-assigned priest who has just graduated from the Seminary should make an annual salary of $49,128 – $66,528 plus extras such as insurance, an automobile, a house (or an allowance for one) retirement contributions, seminars expenses, and many more. A priest with 35 years of ministry and more will earn $113,856 – $120,144, according to the Clergy Compensation Plan for 2012. The priests’ salaries are the biggest expense of the Parishes’ annual budget along with the annual monetary allocation they pay to the Archdiocese for the so called “Ministries”. According to the official Clergy Compensation Plan for 2012, a priest with service of up to five years can expect to earn $49,128 – $66,528; 6-10 years $68,528 – $74,136; 11-15 years $74,136 – $84,960; 16-20 years $84,960 – $94,440; 21-25 years $94,440 – $101,136; 26-30 years $101,136 – $107,616; 31-35 years $107,616 – $113,856; and over 35 years $113.856 – $120,144. The Plan also provides that: “a) The annual minimum increase in a clergyman’s remuneration must include an annual cost of living increase beginning January 1st of each year. When using these remuneration ranges, the Parish Council should factor in the relative cost of living for its geographic area”. b) “In the event a parish provides “housing” by making available a parish owned home, then an equitable and reasonable “deduction adjustment” should be made from the Salary and Housing Allowance figures above, based on the local fair market rental value of the home being provided”. 1) An automobile (which the parish purchases or leases) for use by the priest, with all related expenses paid by the parish. 2) Social Security/Medicare taxes (FICA/SECA equal to the maximum self-employment Social Security/Medicare tax each year, currently 15.3% of Salary and the Housing Allowance or rental value of a parish home). 3) The monthly health insurance premium for the Archdiocese-sponsored and approved Orthodox Health Plan, either single or family coverage, as appropriate. 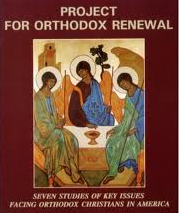 All clergymen of the Archdiocese are required to participate in the Orthodox Health Plan. 4) A minimum annual vacation of fifteen days (2 weeks) to a maximum of five (5) weeks, taking into consideration the clergyman’s cumulative years of service to the Archdiocese. 5) Expenses for attending District/Metropolis Clergy-Laity Assemblies and Retreats, the Biennial Clergy-Laity Congress, Clergy Continuing Education Programs and the Archdiocese Presbyters Council Retreat. 6) A three (3) month sabbatical leave for each six (6) years of service with the same parish. It is stated in the Compensation Plan that “all parishes are obligated to pay the monthly Archdiocese Benefits Contribution, which for the year 2012 is $500 starting on January 1st, 2009. This includes parishes without a full-time priest. Those parishes with more than one clergyman are required to pay $500 for each assigned clergyman…The Archdiocese Benefits Contribution is not a part of a priest’s remuneration package”. The above salary scale is not always observed by the local Metropolises. In many Parishes there are huge differences of salaries and benefits. Some Metropolitans in order to take care “their own boys” as the expression goes, put pressure on the Parishes to give them more money, in some instances even double the amount that the Archdiocesan salary scale directs. It is misleading to believe that the priests are appointed to the Parishes by the Chancellor of each Metropolis; actually it is the Metropolitan who makes the selection. In many cases the unwritten law of friendships and favoritism prevails over education, experience and talents. In other instances the Metropolitans turn their heads the other way. TNH has learned that there are priests with 50-plus years of continuous service in the same Parish whose annual salary does not exceed $50,000, while some newly-appointed priests begin at $80,000 and within a year demand a $12,000 raise. The priest in the Archdiocesan Cathedral of the Holy Trinity in New York, appointed by Archbishop Demetrios, earns the highest salary of any priest in the country, plus benefits, while other clergy live below poverty line. All family benefits that apply to married priests with children, also apply to the single, celibate priests. It is also true that many priests’ salaries is in some instances double and triple the $80,000 (approximate) salary of the Metropolitans. And that includes benefits and expenses, of course. 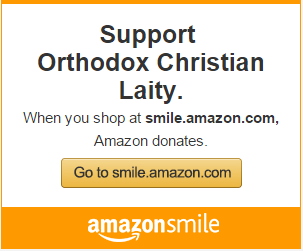 It is widely known that the Greek-Orthodox Clergy in the U.S. are the highest paid among the Orthodox Jurisdictions. One of the basic reasons that so many converts are trying to get into the Greek-Orthodox Archdiocese as priests is the fact that the Archdiocese is considered “the golden fish” of Orthodoxy. In other words the Parishes pay high salaries. Above and beyond the high salaries and benefits is the unwritten custom of gratuities known as (τυχερά) that the faithful give at the time of a sacrament – such as wedding or baptism, or even a funeral. The gratuities are similar to the tips that the customers give to waitstaff in restaurants or hotel bellhops. There are Parishes that present to the faithful their financial obligations in writing once the people call or visit the church office to set a day not only for a joyous occasion, but even for the funeral of a loved one. The faithful are asked to give an extra amount to the priest, the cantor, the sexton, and for the use of the church despite the fact that the faithful pay annually their dues or stewardship. In many instances, the priests have asked to include their “tip” in the general expense of the funeral, as determined by funeral directors. There are also cases in which the relatives of the departed in their grief and deep pain approach the priests and give them an extra “tip” in cash which they take it without telling the relatives that they have already been paid a “tip” through the funeral director. Of course the unfortunate custom of gratuities applies to many hierarchs who get from $500 to $1,000 and up when they officiate in Vesper Service or in a Liturgy. They might not ask for it directly, but the priests play the intermediate role recommending to the parish council to “give something to the Bishop”. The salary discrepancy of Greek School teachers as compared to priests is outrageous. First of all there is no salary scale for teachers. The average monthly salary of an afternoon Greek School teacher starts from $250 to $350 and for the Day Schools varies from $15,000 to $25,000. The teachers do not receive health or pension plans of any kind. An average salary in Greece for priests who have a Theology diploma from the Theological Schools of Athens or Thessalonica is between 850 to 1,100 Euro per month, while the Metropolitan’s monthly salary does not exceed 1,500 to 2,000 Euro. They also get the “tips” from various services such as funerals, memorials, weddings, and baptisms, and those are sometimes double their regular salaries. The priests and the Bishops in Greece are paid by the government and they are considered state employees.